It can be frightening to watch your child get hurt, especially if the injury involves their mouth. When a tooth gets knocked out completely, it is called dental avulsion. If it is a primary tooth, it typically won’t be reimplanted because of the risk of damaging the emerging permanent tooth. However, if it is a permanent tooth that gets dislodged, there are some steps you can take to increase the likelihood of saving it. Act Fast: A knocked out tooth needs to be addressed with a dentist within the first hour of injury for best results. Handle With Care: Do not touch the tooth roots when recovering and handling the avulsed tooth. Clean It Well: Gently rinse off any dirt or debris with plain water. Avoid scrubbing. Preserve It: For older children, you may be able to actually put the tooth back into its original socket and hold it there until you can see a dentist. If this is not possible, put the tooth into a glass of milk or saliva. This keeps it moist and preserves tooth viability better than other liquids. Contact Your Dentist: If you are trying to save an adult tooth, it is critical that you see your dentist as soon as possible. 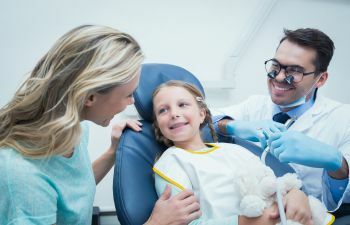 At Georgia Orthodontics & Children’s Dentistry, we proudly offer emergency pediatric dental care to families in Milton, Ga. We treat dislodged teeth, cracked or broken teeth, toothaches, lost fillings and other urgent dental situations. We deliver state-of-the-art care in a calming and compassionate environment. If your child has suffered a dental injury, rest assured that we can alleviate their discomfort and restore their smile with excellence. I was skeptical about going back into braces. Since this was my second round, I wanted something fast and affordable. I met with Dr. Patel and he was fantastic! He gave me different options, he was very detailed and he answered all my questions. Highly recommend Milton Dental Specialists!! They were so sweet to my daughter and took extra time and effort to make her enjoy her experience and be comfortable! As a parent this is much appreciated! My daughter left smiling and excited to have her teeth cleaned. Thank you Dr. Chong and Renal! An inviting waiting room with the front desk staff greeting me with a smile. Staff was very educated answering as many questions as possible since it was my first consultation for orthodontic help. Dr. Patel was VERY personable giving me all of the options for a plan of action the crowding of my teeth, and gave me all the information (time length, issues to be concerned with, financial differences) to help me choose the best plan for me. His details helped me to feel very comfortable with having to get braces as a female post 25+ years. I definitely recommend him as an orthodontist in the Milton/ North Atlanta area if you are looking for one. Best thing is that the first consultation was absolutely free! Very happy with Milton Demtal Specialists. Having a dentist and orthodontist in one location makes dental exams easy while wearing braces. They have great hours and are very accommodating for kids in school who don’t want to miss school for orthodontic or dental work. Very happy with both the dentist and orthodontist. Dr. Patel is just amazing! I was dreading the thought of having to get braces again, but Dr. Patel found me another route and I absolutely love the results. He and his staff are wonderful to work with. They make you feel at home and well taken care of as soon as you walk into the doors. My 2 year old is also a patient if Dr. Chong there and we couldn’t be more happier with him as well! We love Milton dental! My teeth came out beautiful and it didn’t take nearly as long as I thought it would! Awesome practice. Great with kids and very professional. My daughter felt right at home and Dr. Patel took his time and explained the entire treatment. Very happy with practice. This office has the best staff. I love Dr. Patel. Best orthodontist ever. Everyone makes sure I have the most pleasant visit at every appointment. Definitely a family feel environment.